SuperSymmetry (Sym) was an alliance based on mutual protection and strategic growth on www.Ikariam.com. Members have since dispersed to other alliances on the Gamma server, including SHDW and WK. 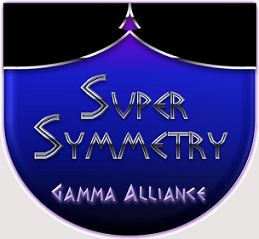 The SuperSymmetry ('Sym') Alliance is an ever expanding group concentrated in the South East region of Gamma, with satellite regions developing rapidly around the map. A majority of our members are economic/building oriented players; however we do not discourage well-planned pillaging. One of our principle tenets is maintaining a strong defensive backbone and contributing towards group defense; the objective being to protect our players and allow them to grow unhindered. We also provide an active trading network and strategic aid to those under our banner. We currently do not have a minimum point cap. We are willing to help new players grow stronger, so they in turn may help us grow. We do ask new members to devote themselves to meeting our minimum defense requirements, and become familiar with our general alliance strategies and policies. We encourage fair trade and diplomacy, and have a very cooperative and civil internal culture. Whether having a military or economic-focus, our members are open to sharing growth strategies and are always willing to work with new strategic partners. If you feel that a well-organized alliance of active players, with a casual style that encourages communication, is a good fit for you, please contact our Home Secretary or submit an alliance application via your Embassy. And for some quick stats, click on the following LINK. Were you recommended by a current member? If so, who? How active are you in Ikariam? As the Tag Type in "Sym"
Click on the Shaking Hand Symbol. Type a message and send.